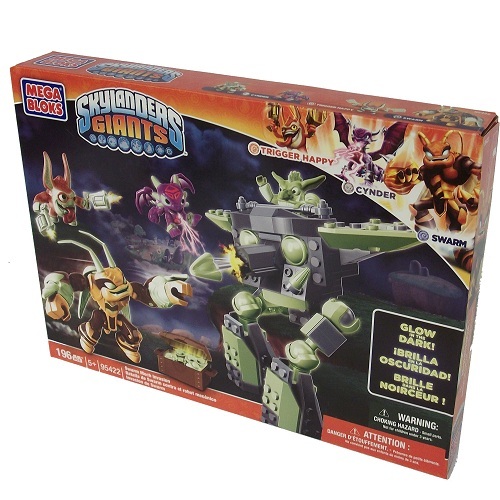 Product Detail Summary: Battle under the cloak of darkness with the buildable Swarm Mech Invasion by Mega Bloks Skylanders Giants! The troll proves to be a menacing enemy as he pilots Gun Snout, a mechanical walker with working missile launcher. But it’s lights out for him when Swarm, Trigger Happy and Cynder launch their attack. The Skylands are safe – even in the dark!